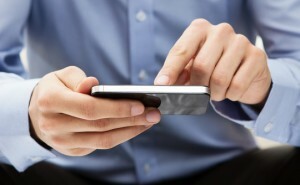 Marketing smartphones, as well as other devices like laptops, tablets, and other devices is Apple’s trademark as having a worldwide reputation of high quality standards when it comes to their products. The recent outcome of 2014’s sales of Apple’s products in Latin America has squashed all previous predictions and speculations that forecast 2015 would be the year that Apple’s sales will go down. Even now in the first quarter of 2015, Apple still leads the consumer electronics market in sales. Based to the statement of a sales analyst from a Germany-based think tank, GfK way back in 2014; smartphones sales soared up to $1.2 billion USD in the previous year in Latin America. The amount of sales jumped from 55% (in 2013) to 79% (in 2014)! This is by far the biggest sale by Apple to date on a particular region on the planet and it shows that by offering upgraded communication technologies such as 3G and 4G to these areas, people are willing to spend more. “It is the same trend that has driven growth at different times in all regions. LatAm has been one of the later adopters of smartphones and of 3G and 4G technology,” Kevin Walsh, director of trends and forecasting at GfK, told CNBC by phone. 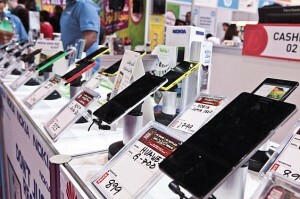 “GfK forecasts that smartphone price bands above $150 will see a decline in their market share. At the next level down, $100-150, sales will remain stable, but it is the cheaper smartphones priced below this point that will gain share.” He added. Theories and speculations rise again about the possibility of decline in smartphone sales in 2015; however, that has yet to be proven as sales figures continue to defy predictions ever so. According to the most recent surveys of countries whose sales on smartphones are on the top selling charts, respondents are more concerned about replacing their older models smartphones with newer models with larger screens. The smartphone sales of these countries has reached a saturation point mainly because of this kind of trend which largely contribute to the sales of these electronic devices. Pertaining to this table above, regarding to countries and or regions which has the greater growth of population in smartphones customary used the Latin America takes the lead (Second only to North America). In countries such China, India and Africa, smartphone sales has already been observed and tracked with unprecedented demand in dozens of emerging markets over the past couple of years. It should not be a coincidence when other markets will follow. 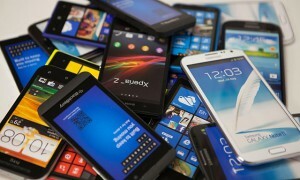 Though prices of smartphones is expected to go down, larger screens smartphones will do great significantly and could be the biggest segment share market as of 2015 and is expected to be reach 14% more units sold which should be from $150 to $100; in order to maintain its momentum and will reach $1.368 billion USD.